Our general medicine veterinarians are highly skilled and trained to take special care of your pet from birth through their senior years. We perform all levels of service such as preventive medicine, diagnosis of disease, medical treatments and emergencies. Your general medicine veterinarian will work as a team with you and our board certified specialists to provide initial and follow up care 24 hours a day, seven days a week. Some of the more common problems our generalists see include diseases of the gastrointestinal tract, skin conditions, ear infections, urinary tract infections, allergic reactions, eye problems, obstetrical problems, cardiac conditions, infectious diseases such as tracheobronchitis or parvovirus infections and common orthopedic problems such as arthritis, ruptured ligaments, and lamenesses. If you are referred to Oradell Animal Hospital to see a specialist or come for a second opinion, it is very important that you bring copies of your pet’s medical records and a history of past and current medications. This will avoid any unnecessary tests and expenses. We will accept faxed records, but we encourage you to make sure that they are legible. Your pet’s health and well-being is our number one concern. A wellness examination gives us the chance to evaluate your pet’s overall health and to detect problems before they turn into serious illnesses. Because most pets age more quickly than you do, it is essential that your pet’s be examined at least once a year and as your pets get older, twice yearly. Additional testing may be recommended to diagnose a health problem. As part of the wellness examination a complete physical examination will be performed plus any routine screening tests that may be indicated. The early signs of heart disease can often be recognized during a routine health exam. Weight loss or gain since your pet’s last exam could indicate the early stages of a metabolic problem such as diabetes, kidney disease, thyroid disease, or obesity. Your pet’s ears will be examined since they can harbor parasites, bacteria, fungus and foreign materials. Your pet’s eyes are a “window” to the body and will be examined to determine abnormalities, such as anemia, glaucoma, cataracts, high blood pressure, jaundice and allergies. Your pet’s oral cavity (gums, teeth, tongue and palate) will be checked for tartar buildup, dental abnormalities, fractures, loose teeth, tumors, infections and other problems. Your pet’s reproductive system will be examined for swellings, discharges, and breast lumps. If your pet has not been spayed or neutered, our veterinarian will explain the health benefits of doing so. Your pet’s skin and hair will be examined as a means of detecting allergies, infections, warts and tumors, fleas, ticks and other parasites. 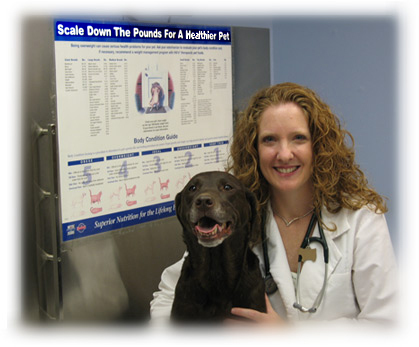 Your pet’s abdomen will be palpated to detect abnormalities such as enlarged organs or masses. Other painful areas may indicate problems with the intestines, kidneys, liver or other organs. Your pet’s joints, muscles and lymph nodes will be examined to detect the possible presence of inflammation, arthritis and tumors. REMEMBER… DOGS AND CATS CAN AGE MORE THAN SEVEN TIMES FASTER THAN PEOPLE!!! Be sure to mention to your veterinarian any unusual behavior or symptoms your pet may be exhibiting. Vaccination against infectious diseases has tremendous effects on reducing illness in your pet. At Oradell Animal Hospital, we will create a vaccination program based on your pet’s lifestyle and exposure to disease. Core vaccines are generally recommended for all cats and dogs. For cats, core vaccines include panleukopenia, rabies, calicivirus and herpesvirus. For dogs, core vaccines include distemper, rabies, parvovirus, adenovirus and bordatella. Certain vaccines or non-core vaccines are administered to your pet depending upon exposure, risk and lifestyle. For cats this includes vaccines that protect against leukemia virus. For dogs, this includes vaccines that protect against Lyme Disease and Leptospirosis. If you are interested in viewing Oradell Animal Hospital’s Vaccination Protocols and Parasite Prevention Protocol, please click here. When your dog or cat reaches eight years of age (giant breeds five years of age) your pet is entering the “senior years” of his/her life. While the aging process is not a disease in and of itself, the physiological changes that accompany aging may predispose a pet to one or more disease processes. Older animals are more likely to develop multiple health problems. 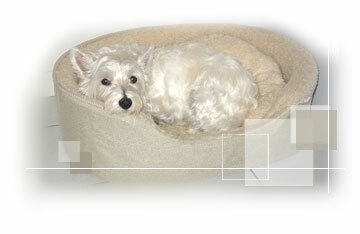 Twice a year health visits are highly recommended for dogs once they reach eight years of age. Knowing what changes to expect can help you explain the health concerns of your senior pet to your veterinarian which will help the doctor decide on the need for appropriate testing. Visit your veterinarian for a senior health care exam at least every six months to monitor your pet’s health. As your pet approaches senior status, we recommend basic blood work to serve as a baseline for measuring future changes. Note changes in behavior or appearance and see your veterinarian. Get problems under control before they become major problems requiring more extensive treatment. Switch to a high quality senior food that provides enhanced levels of key nutrients. If you have specific concerns or your pet has medical issues, nutritional counseling can be arranged. Ask your veterinarian to check your dog’s teeth regularly and follow his/her recommendations. Talk with your veterinarian if your dog or cat tires easily or has trouble breathing. Groom your pet at least once each week. Check for lumps, sores, parasites or discharges from the eyes, ears and nose. Maintain a familiar routine and environment to minimize stress. If your pet has not been neutered or spayed, have your veterinarian examine the mammary glands or prostate gland. If you notice that your pet becomes less active due to aging and decreased muscle tone, Oradell Animal Hospital offers physical rehabilitation services. Skin diseases are common problems in dogs and cats. Some of the most common problems are skin infections, ear infections, allergies, and external parasites. We offer a wide array of diagnostic procedures such as skin scrapings, fungal and bacterial cultures, cytology, biopsy, and allergy testing (both serum and intradermal). We stock a wide variety of limited antigen (hypoallergenic) diets for pets with food allergies. Allergen specific immunotherapy (allergy shots) is often recommended for pets diagnosed with non-seasonal allergies. Our priority is to enhance the well-being of our patients. It is our goal to recognize, prevent and minimize both physical and emotional pain and to ensure that your pet is comfortable after surgical procedures. 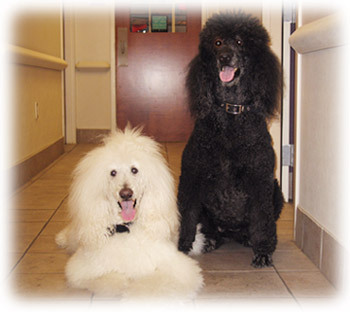 We will dispense medication for comfort when your pet is discharged from the hospital as well. We have a separate area for our feline friends offering them a stress- free environment that is quiet and comfortable. How can I tell when my pet is in pain? Response to pain varies among individual patients. To microchip your pet, simply call to make an appointment. This is a safe, simple and permanent form of pet identification designed to quickly identify lost pets and reunite them with their owners. Similar to administering a routine injection, within seconds a microchip with a unique identification code is implanted under the skin between the shoulder blades of your pet. Once your pet is microchipped, you must fill out the enrollment form enclosed with the microchip. The information will then be stored with a service database and is always available. If your pet is ever lost, he/she can be scanned at animal shelters or veterinary clinics to reveal their identification number.